I thought I’d make a friendly dinasaur cake for my showpiece (part of the requirements for the Patisserie exam) but my grandmother suggested I work on a Christmas theme instead (we’d just made a Christmas cake together). 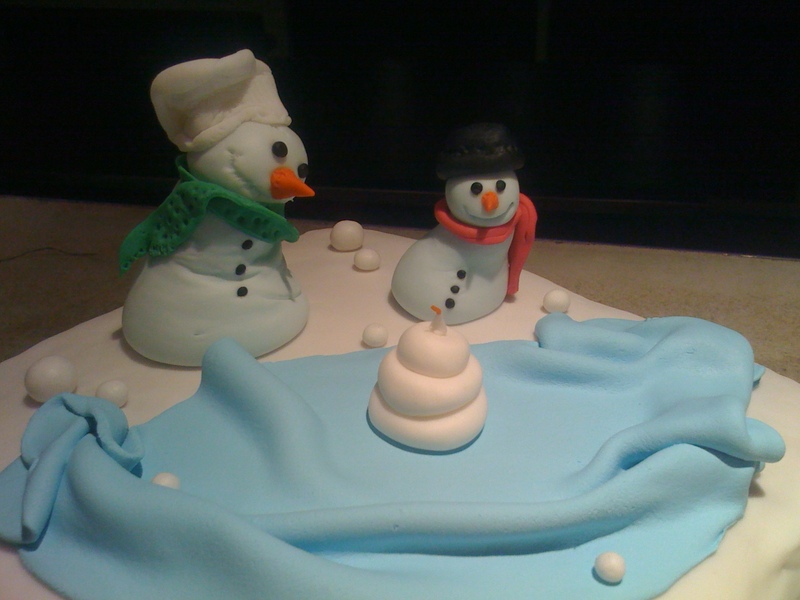 The idea of a snowman cake popped into my head, based on the fact that plastic icing is as ‘white as snow’ as it is. 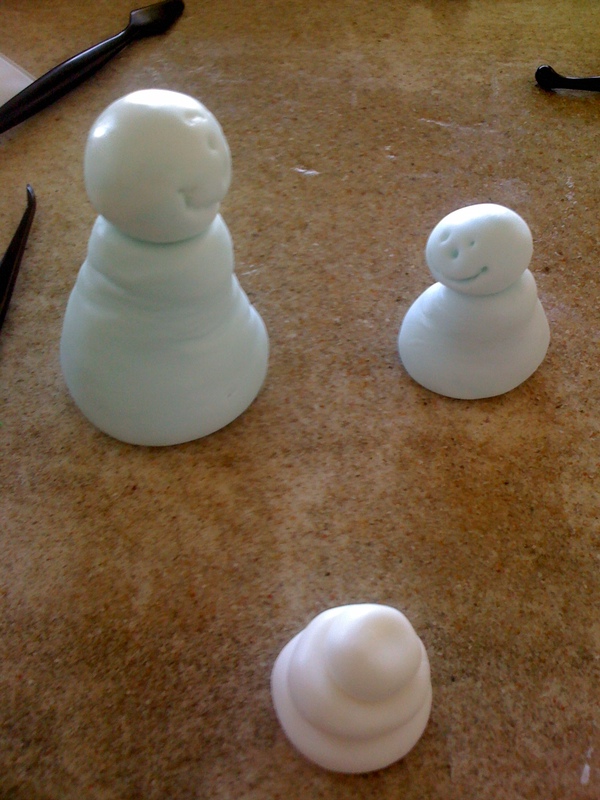 Handwork your plastic icing into bodies and heads (I coloured my icing with a touch of blue to create an ice effect) - it doesn't matter what size as long as it is to scale or works for you! 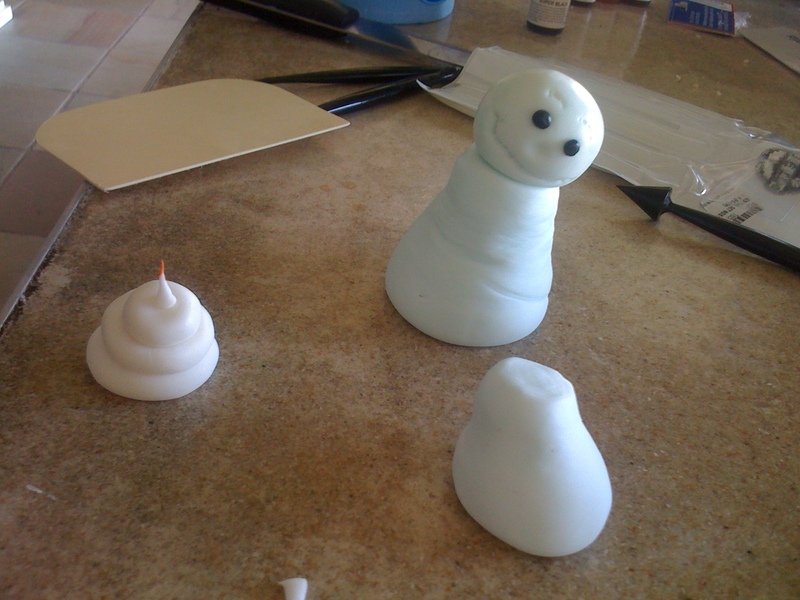 Place noses (it's easier if the plastic icing is hard) and whatever else you may think of... don't forget the snowballs! 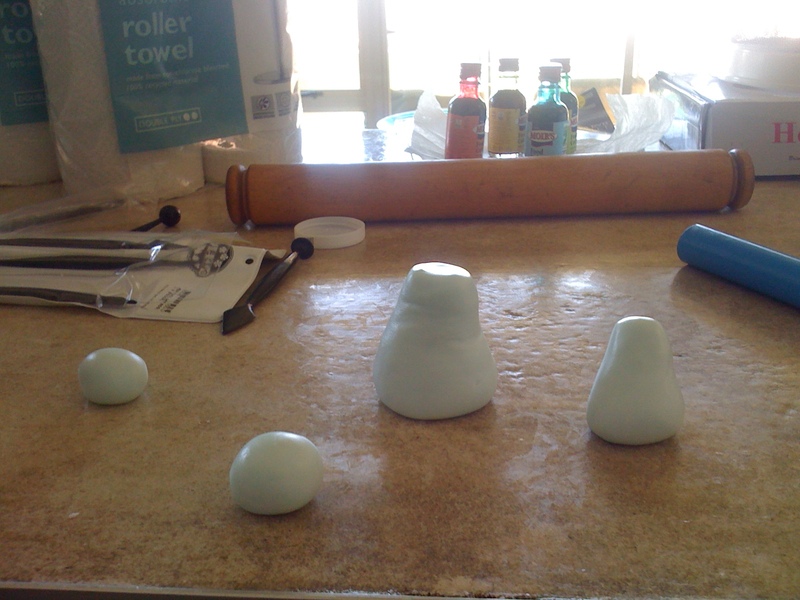 Previous postEnd of Patiserie Course (FINAL EXAM)! Next postThe gooey monster that is DOUGH! Lana, what is your recipe for “plastic frosting” as you call it? I’ve always found plastic frosting to be completely inedible! Share your wonderful wisdom with us, please. 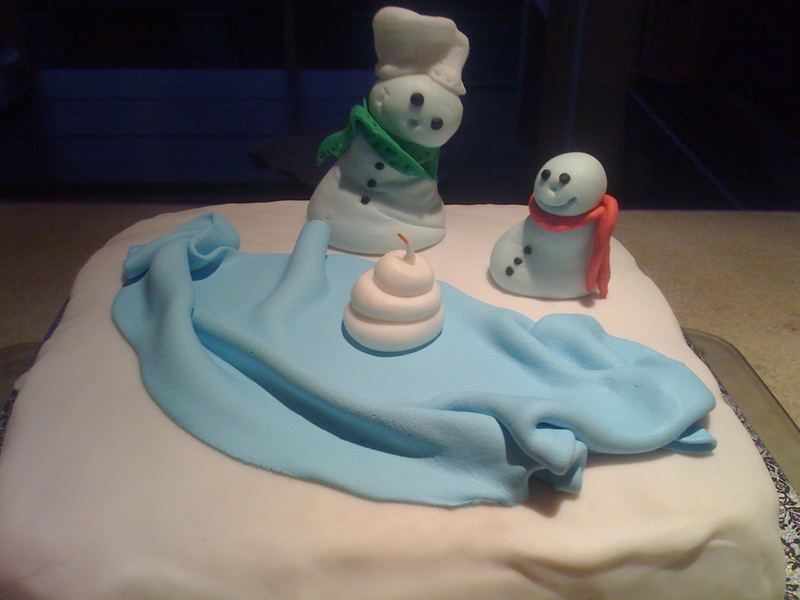 Plastic icing is bought ready made at bakery supply shops. 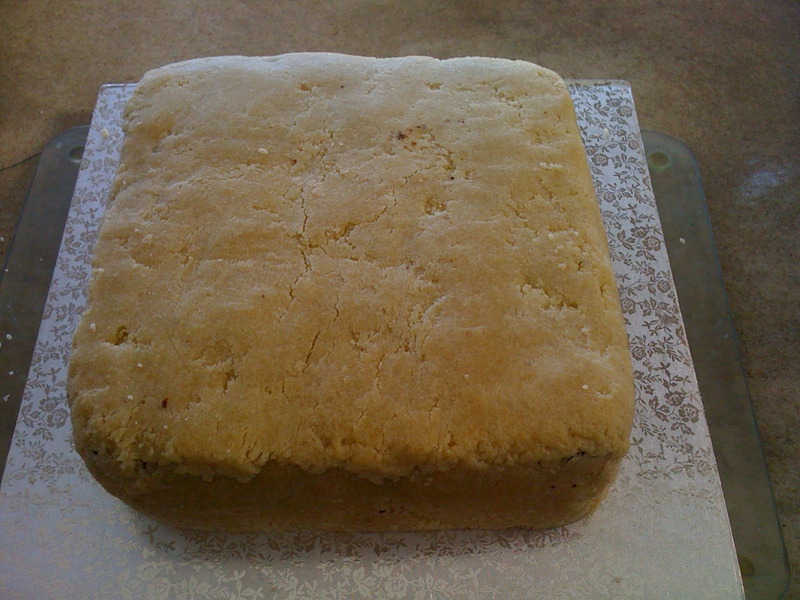 Roll it out THIN before covering your cake (which you can mould or cut into whatever shape you need) so that you don’t have to eat huge amounts of it. It’s a decorative medium and doesn’t taste bad in small amounts. I also tend to leave it behind on the plate though! 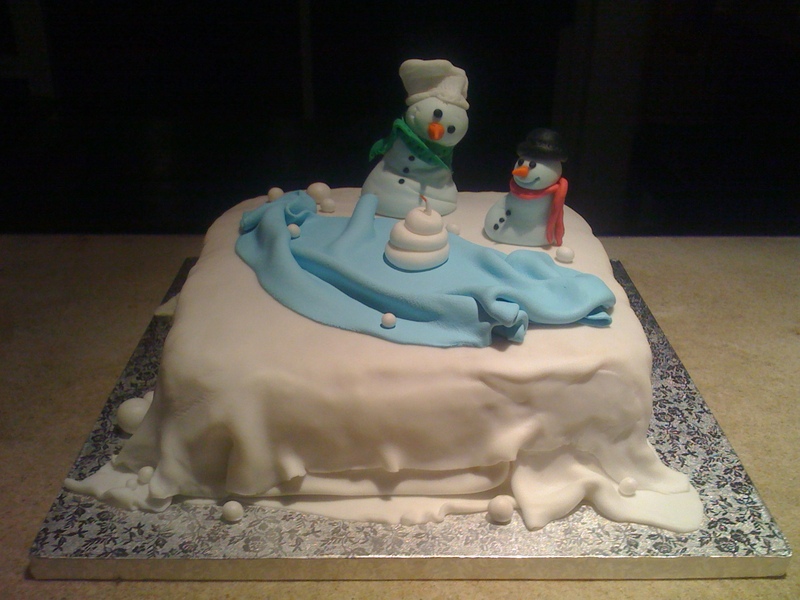 You could opt for normal icing but plastic icing allows one to do 3 D moulding, in which case, one can take the ‘sculptures’ off the cake before cutting it. It really is great fun to work with once you get the knack of it. Use good quality food colourants so that you don’t end up adding too much liquid colouring (this makes it quite sticky). I’ll keep you posted about how to make (delicious?!) 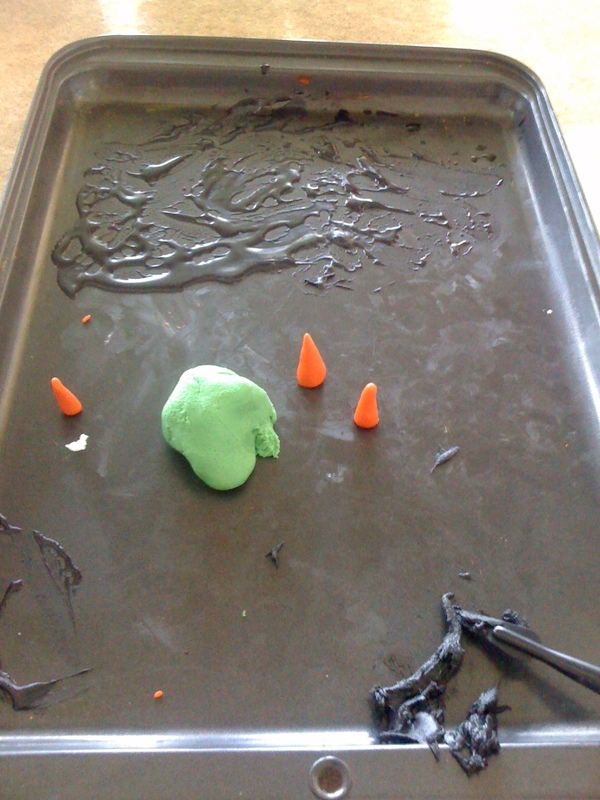 plastic icing if I find out how! nice pict i love the toppers thank for share.. Thank you for visiting and for your comment! It makes it seem all the more worthwhile to get feedback from friendly strangers!! 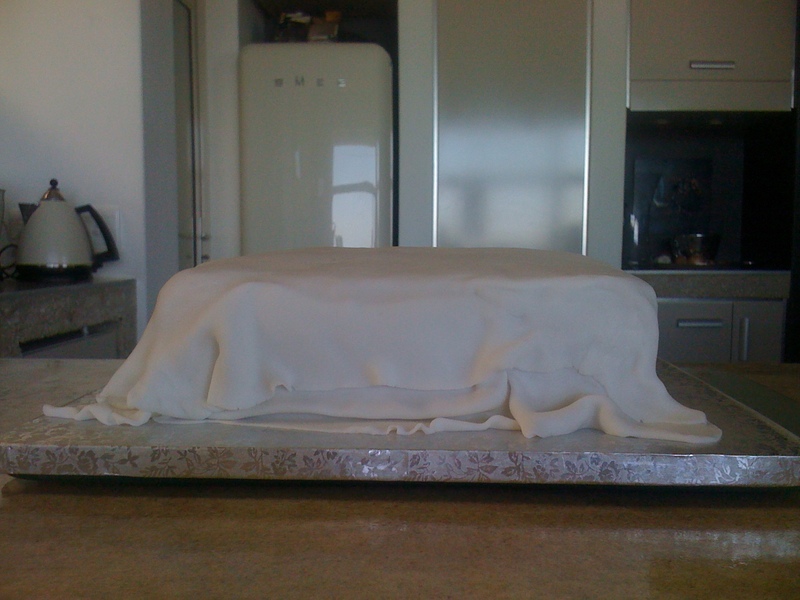 The cake looks delicious, but not as much the header of your blog. And since when are you on the Atkins diet?!!! Atkins who? By the way yumminess impairs my memory.